Ipsy December 2014 Sneak Peek #3! Get Beautiful Vision! This third Ipsy sneak peek is special! Ipsters will be getting the first chance to try a brand new product from a great brand! You won't get it anywhere else but your Ipsy bag for now. It's all about eyes today! Pixi Fairy Dust-Illuminating powder pigments give concentrated glow & enhancing colour instantly! Create a lit-from-within radiance with these gemstone effect powders - highlight eyes and cheeks for a soft focus glow. Nourish Organic Eye Cream- This is the newest product! It's not for sale yet on the Nourish website and they even said Ipsy subscribers get the advance product! Woohoo!! Cailyn Just Mineral Eye Shadow-Made with 100% raw mineral powder, this highly pigmented satiny powder not only colors your eyes with shimmery, gorgeous hues but is also safe to wear long hours. Easy to use built-in sponge tip allows smooth application and seamless blending of colors. 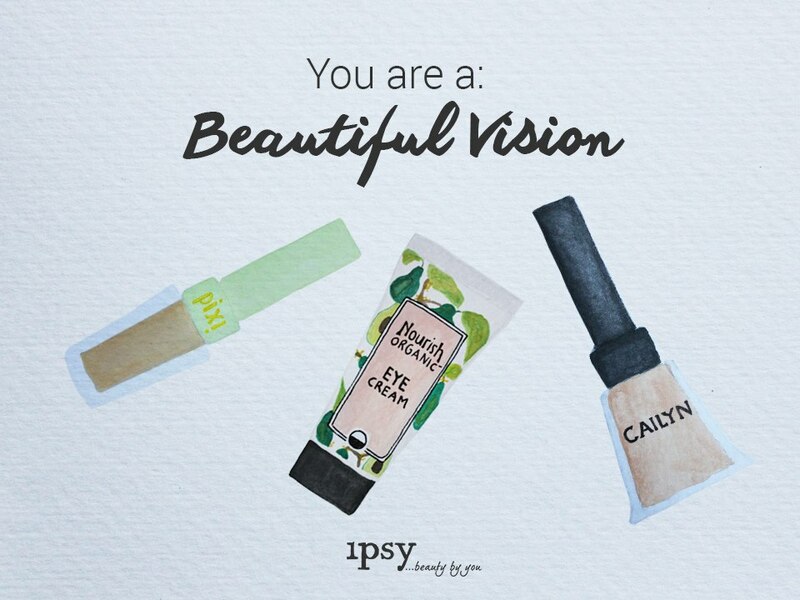 If you would like to sign up for Ipsy, you can do that right here! They do have a wait list so you may not end up getting this bag (or the next, sadly), so I recommend signing up even if you aren't sure and then when you get off the list, make your final decision. You won't be charged until you're off the list so there's no monetary commitment up front.